The World Twenty20 is well and truly underway in Bangladesh – which means, of course, that Australia and England are already preparing to head home early. 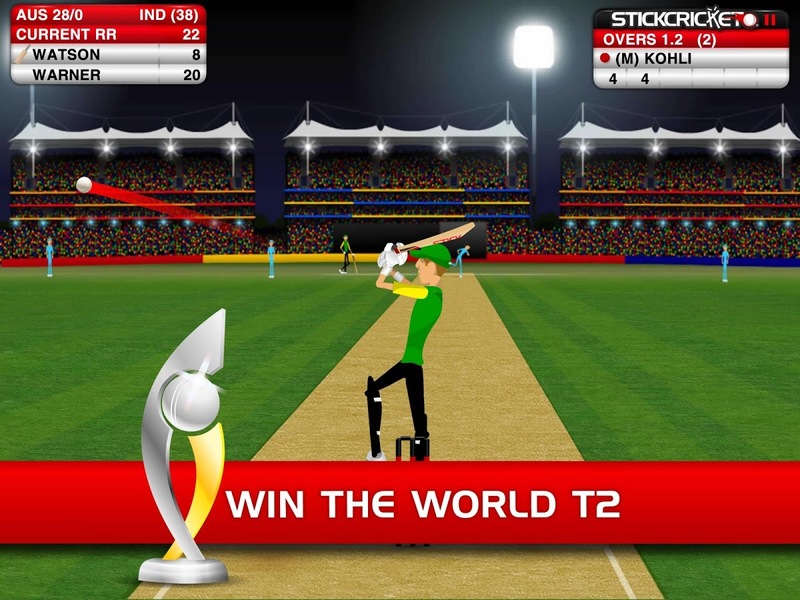 But fans of Australia and England can forget about their misery with the help of the brand new Stick Cricket World T2 tournament mode, included as part of an update to Stick Cricket on the App Store and Google Play. With just two overs to chase down whatever challenging score the opposition has set for you, there’s nothing quite as exhilarating as smashing the winning runs in a do-or-die T2 clash. Also arriving in Stick Cricket 2.6 is a revamped Stick All Stars line-up. The selectors have made some rash changes to the team, so please direct all complaints to the makers of Ashes Cricket 2013. England’s loss is the All Stars gain, with Kevin Pietersen now whistling his way to and from the dressing room. His former teammate, Andrew Flintoff, has also arrived. Shipfaced, on a pedalo. We’ve stocked up with baked beans and and mobile phone credit so Warnie feels welcome, while Shaun Pollock is drafted in exclusively for his Duckworth-Lewis expertise. One more player was desperately needed to make up the numbers, so a retired Indian batsman named Sachin just scraped in. For the chance to win a limited edition Stick Cricket t-shirt, simply win the World T2 trophy and tweet a screenshot as proof to @stickcricket.